Mayor Dave Bing told a press conference this morning that the number of fires had dropped 12% during the three day period around Halloween. 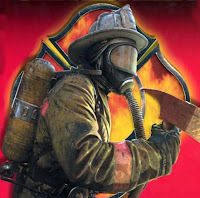 Statistics from the Detroit Fire Department showed that there were 119 fires (including 91 suspicious ones) this year. In comparison, there were 136 fires in Detroit last year. Locally, I know of at least two house fires that happened in the Warrendale neighborhood this year. There was one at 6817 Ashton, a vacant home, that damaged an occupied home immediately north of it. There was also another such on Brace.